Dropbox has decided to double-down on its referral incentives and now offers users twice the free space for each person they sign up. Referrals can now net free users and paying subscribers up to 16GB (512MB per referral) of free storage space while paying Dropbox subscribers can gain up to 32GB (1GB per referral). There is a cap of 32 referrals per account. Existing subscribers with tons of referrals already will be pleased to know that the bonus is retroactive. For example, if you've scored 2.5GB of extra storage because you've referred 10 people, then you'll also be receiving an additional 2.5GB of space in just a few days. The changes should be completely automatic. Dropbox currently offers 2GB of space for free. Competitors such as Box and Sky Drive offer 5GB and 25GB without cost, respectively. However, Dropbox doesn't suffer from most of the "gotchas" competing services often have, such as limits on file sizes or limited platform availability. 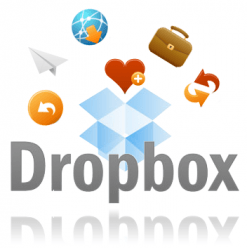 For this and other reasons, Dropbox has remained a fairly popular way to store files online. In February, Dropbox offered up to 5GB of free storage to brave users willing to try out an experimental photo-import feature found on their beta client. I was told this space stacks with referral incentives (although I haven't verified this). If this is true, some free Dropbox users may actually have accounts with as much as 23GB of space. Dropbox's attempt to grab more referrals comes at a time when competition is about to heat up. Just last week, the Wallstreet Journal was told Google Drive is on track for an April 16 launch. Although little is known about Google's upcoming cloud storage service, it is expected to be a direct competitor to Dropbox and is rumored to offer 5GB of space for free.